Discover Veracruz Tours, LLC collects information we need to provide our travel services to you. To complete trip reservations, we generally collect your name, address, phone number, e-mail address, credit card information, date of birth, age, passport number, family emergency contacts, essential medical history, and other personal information we deem necessary to help in making your reservation. We do not collect personally identifiable information about you except when you specifically provide such information to us on a voluntary basis. We may also receive personally identifiable information from travel agencies, other tour companies, and other individuals, companies, or organizations who are making travel bookings on your behalf. We also receive personally identifiable information when you request specific tour information, subscribe to our e-mail list, or provide feedback through our website or by other means (such as by e-mail, telephone, or regular mail). Additionally, we may receive your personally identifiable information from a third party. For example, a friend may request us to send you our trip information. In this example, your friend most likely provided us with one or more of the following; your name, address, e-mail address, and possibly other personally identifiable information about you. From time to time we may engage in cooperative marketing initiatives with other active travel companies and travel agencies to provide us with personally identifiable information about you. Discover Veracruz Tours, LLC contracts with other companies to provide certain services, including shipping, email distribution, market research, and promotions management and payment, including credit card processing. We provide these companies with only the information they need to perform their services and work closely with them to ensure that your privacy is respected and protected. Customers of Discover Veracruz Tour LLC must be 18 years of age or older. We never knowingly target or collect personally identifiable information directly from children. Any personally identifiable information concerning children under 18 years of age necessary for our tour reservations or other services, is collected from the parents or legal guardians of such children. The specific information we have asked for from you and you have volunteered to give us will be used in the planning stages of your trip, the actual formal reservation process to secure a place on the tour you have selected, and for providing you with any requested additional information. Most of the services/tours we offer require us to share your personally identifiable information with service providers we use to provide our services to you. For example, certain personal information from you may be given to our hotel providers, local tour guides, and other local tour companies so that they may adequately provide their services to you on your tour. We may also disclose your personally identifiable information to third parties that indirectly allow us to provide services to you. For example, our webhosting providers may have access to your personal information transmitted through our website. If you have provided your e-mail address through our website, our other company websites, or to a company we’ve partnered with to make products and services available to you, we may send you e-mail. These e-mails may be based on personal information you provided in your initial transaction with us, in surveys both online and offline, from information that may indicate purchasing preferences and lifestyle, as well as available from external sources. These e-mails come directly from Discover Veracruz Tours, LLC. When we send you e-mail, we may use your e-mail address to identify information about your receipt of the e-mail, including whether the communication was opened, how many times it was viewed, and whether you clicked on an embedded hyperlink to reach a particular product or service. This information is used to measure response rates to e-mail communications as well as enhance your Site experience. We always provide you with the opportunity to opt-out of receiving our emails. At any time, you may request to discontinue receiving e-mail from Discover Veracruz Tours, LLC by following the opt-out instructions included within all of our e-mails to you. Discover Veracruz Tours, LLC does not provide your personally identifiable information to our affiliate business partners. However, we may send offers on behalf of our affiliate business partners. 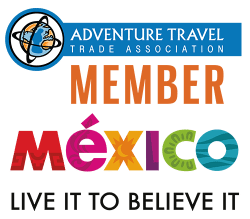 If you take advantage of an offer from a Discover Veracruz Tours LLC affiliate business partner and become their customer, they may independently wish to send e-mails to you. In this case, you will need to inform them separately if you wish to decline receiving future e-mails from them. In order to ensure that our website is as useful as possible, Discover Veracruz Tours LLC may collect and retain details concerning visits to the website. The purpose of such collection is to analyze details about our website users’ activities so that we can track the number of visits to our site, how many times each page is accessed, the paths visitors take to access various pages and other usage details. Whenever you access our website, our servers document the pages visited, partners’ websites visited, and certain information about your computer, including your IP (Internet Protocol) address, operating system, web browser information, and screen resolution. Each time you access the Internet, your computer is automatically assigned an IP address by your ISP (Internet Service Provider) or network. When you visit pages on the Discover Veracruz Tours, LLC website, our servers record your IP address in a log. These logs are then used for system administration (such as site usage reporting and analysis) so we can constantly improve the content we provide. We will not use your IP address or website usage information for marketing purposes. We will use your personal information (e-mail, telephone number) to respond to you should you have questions regarding our services, procedures, or website. Discover Veracruz Tours LLC may be required by law to disclose your personally identifiable information you have provided to us. We may also disclose personally identifiable information pertaining to someone who poses a threat to the interests of Discover Veracruz Tours LLC (such as fraudulent customer activities) or whose activities could harm others. Discover Veracruz Tours LLC maintains the security of your credit card data by the following measures. All online payments are submitted over a secured socket layer (SSL). Credit card information is transmitted immediately to a payment gateway solution via an encrypted port. Discover Veracruz Tours, LLC does not store your credit card number in any of our systems. It is only used within the context of the transaction and then destroyed upon receipt from an acquiring bank. All credit card payments receive an identification number that is proof of the transaction’s acceptance into the banking system. This identification number can be used to trace any transaction back to the credit card issuer (for example, the bank that issued your credit card). You should be aware that other Internet sites to which you link to from this Site may contain privacy provisions that differ from the provisions of your Privacy Statement. Discover Veracruz Tours, LLC is not responsible for the privacy practices or content of other such sites. We encourage Site users to be aware when they leave the Site and to read the privacy statements of each and every website that collects personally identifiable information. This Privacy Statement applies solely to information collected by the Site. Discover Veracruz Tour LLC reserves the right to transfer personally identifiable information to a buyer in connection with a sale of assets, merger, or any other transaction resulting in a change of control of Discover Veracruz Tours LLC. Of course, that buyer will have to honor the promises of privacy that we have made to you. Should your e-mail address change or if you would like to review, amend or correct other information in our files, you can e-mail us at info@discoververacruztours.com or call us as 1-800-766-1437 (US & Canada) or +1-630-274-5341 (Worldwide).